The interior design transformation has created a refreshed and sophisticated feel across the entire property, whilst respecting and retaining the historic architecture and long-standing charm the iconic listed building is known for. Guests can now enjoy state-of-the-art technology in all the bedrooms and take advantage of larger luxurious bathrooms that have been installed as part of the refurbishment. All rooms are also furnished with Egyptian cotton bed linen, Elemis toiletries, an in-room entertainment system. Park Plaza Victoria Amsterdam’s public spaces have also been restyled, including its nine meeting rooms, which offer a sophisticated location for professional occasions and hold up to 130 people. In addition, a Brasserie and VIC’s BAR will join the hotel’s swimming pool, sauna and fitness suite as an ideal location for unwinding after a day exploring the city. Since first opening its doors in 1890, the distinguished hotel has played host to famous guests including Louis Armstrong and Mata Hari, alongside glamourous international fashion shows by designers Pierre Balmain, Christian Dior, Elsa Schiaparelli, Nina Ricci, Rochas and Pierre Cardin. Looking to the future, the hotel will continue to welcome a close link with the fashion and creative industries. 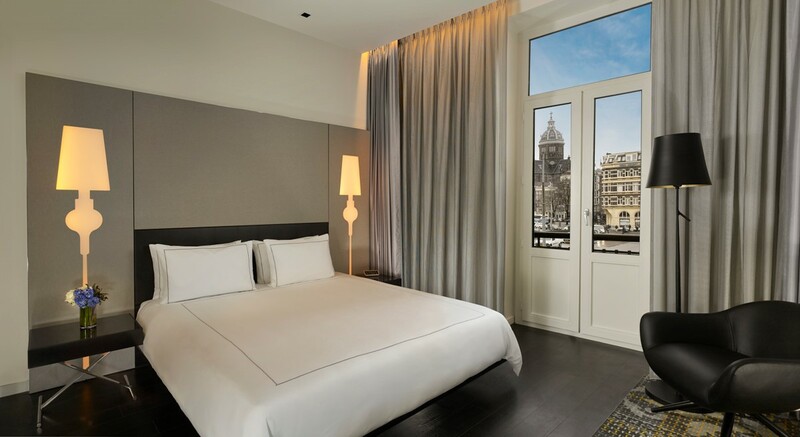 Conveniently located in the centre of the city’s buzzing shopping district and a two-minute walk from Centraal Station, Park Plaza Victoria Amsterdam makes a fantastic destination for short breaks. With many key museums and attractions also nearby, the hotel provides the perfect base for exploring enchanting Amsterdam. For more information and to book, visit www.parkplaza.co.uk/amsterdam-hotel-nl-1012lg/netamst.